Dr. Carrie Elk has been in the mental health field for more than 20 years. She earned her BS in Education and Psychology at Towson State University in 1991, M.Ed. in Counseling from The Penn State University in 1995, and her Ph.D. in Human Science from Florida State University in 1999. She has been involved in many local, national, and international activities supporting military and veterans. 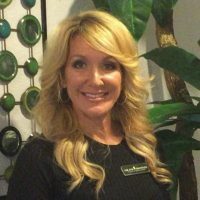 She is the founder and CEO of The Elk Institute for Psychological Health and Performance, providing education, treatment, and clinical research consultation on psychological trauma and other mental health and psychological performance topics to civilians, service members and veteran organizations and individuals. Dr. Elk served as a Clinical Services Supervisor for Military One Source until 2010 and continued to do outreach for the organization beyond that time. Dr. Elk then had a two-year contract (2010-2012) as a visiting faculty member with the USF College of Nursing to serve as co-investigator on the initial studies of a treatment for Post-Traumatic Stress Disorder and Traumatic Brain Injury. During this time, she lobbied for and served as USF Health’s 1 st Military Liaison, was instrumental in the development of a Military & Veteran Health course, and represented the college as an active member of the Veterans Reintegration Steering committee. In January 2014, Elk Institute for Psychological Health & Performance was estabished as a 501(c)3 organization. Dr. Elk who is an Honorary Wing Commander for the 927 th Air Refueling Wing at MacDill Air Force Base, also serves as a member of the (ESRG) Employers Support of the Guard and Reserve, and the Florida Behavioral Health Alliance. She travels around the country speaking on mental health and performance topics, offers treatment to warriors and their families in need, collaborating with military and veteran organizations worldwide. You may recall Dr. Elk from her previous recurring radio segment “Training for Tactical Athletes” on “Tipping Point” or her current “Military Minute” segments on WFLA/WTTA. She is frequently quoted as an expert in combat veterans mental health issues by the media.